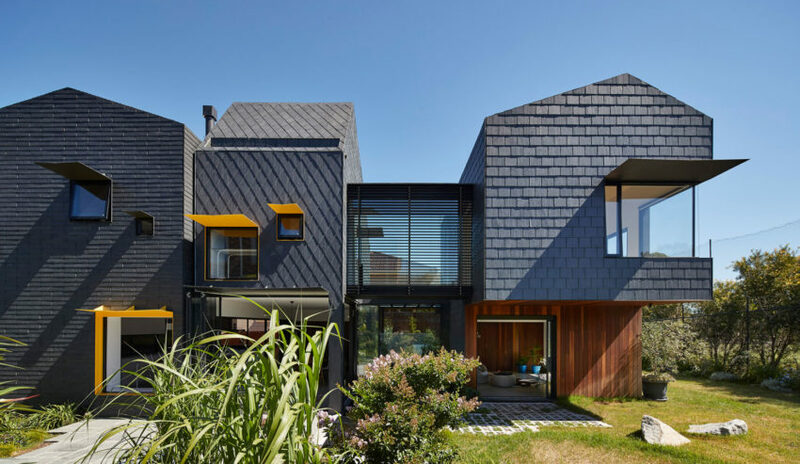 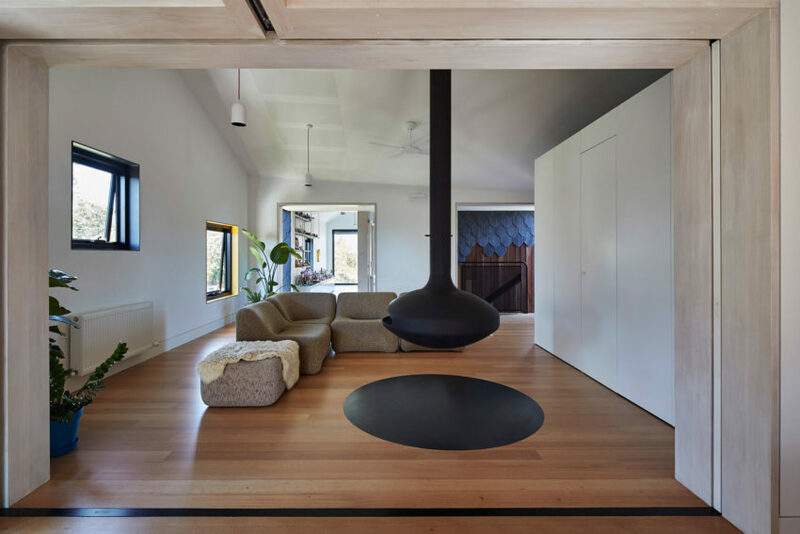 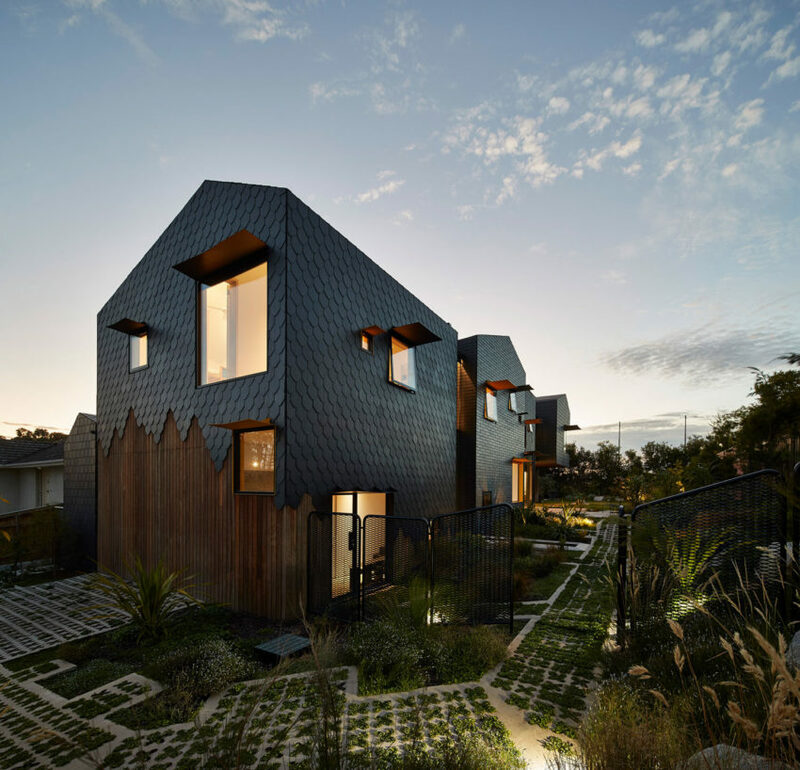 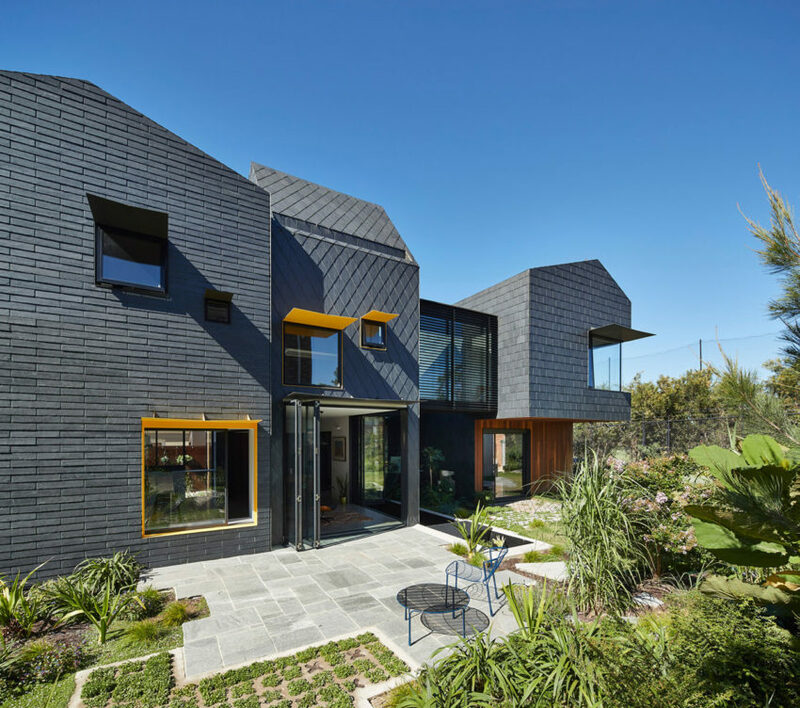 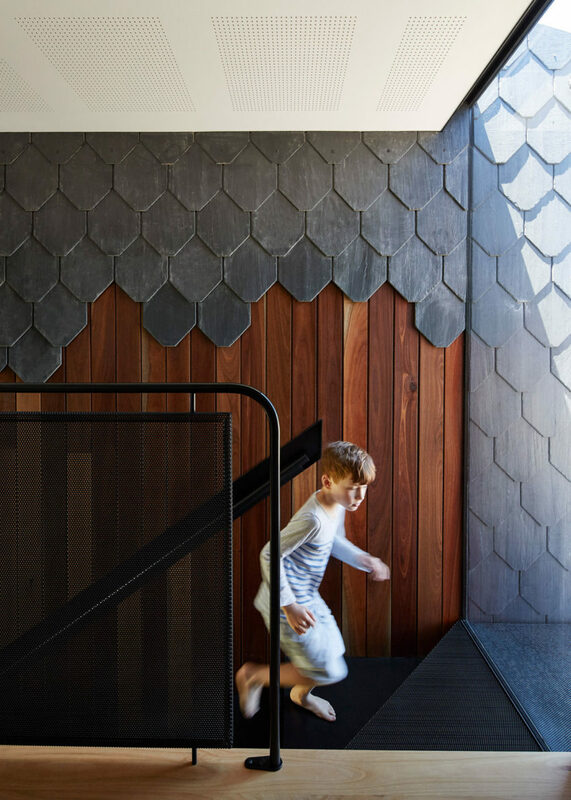 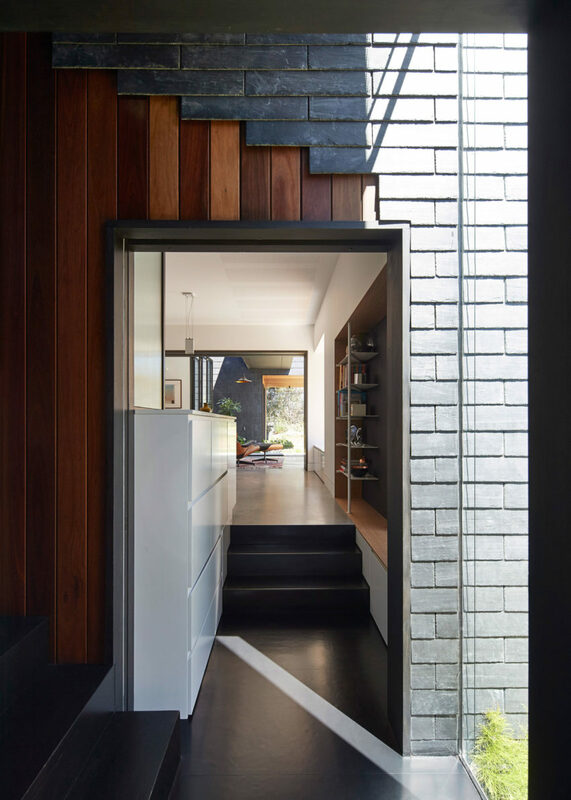 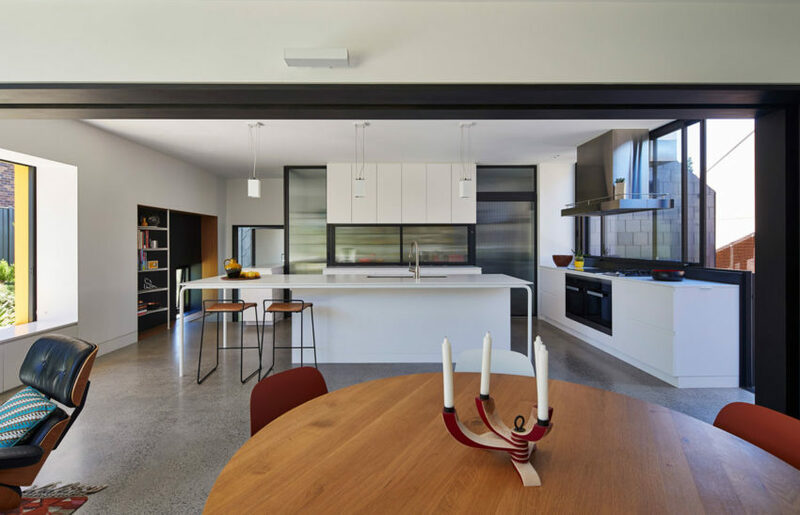 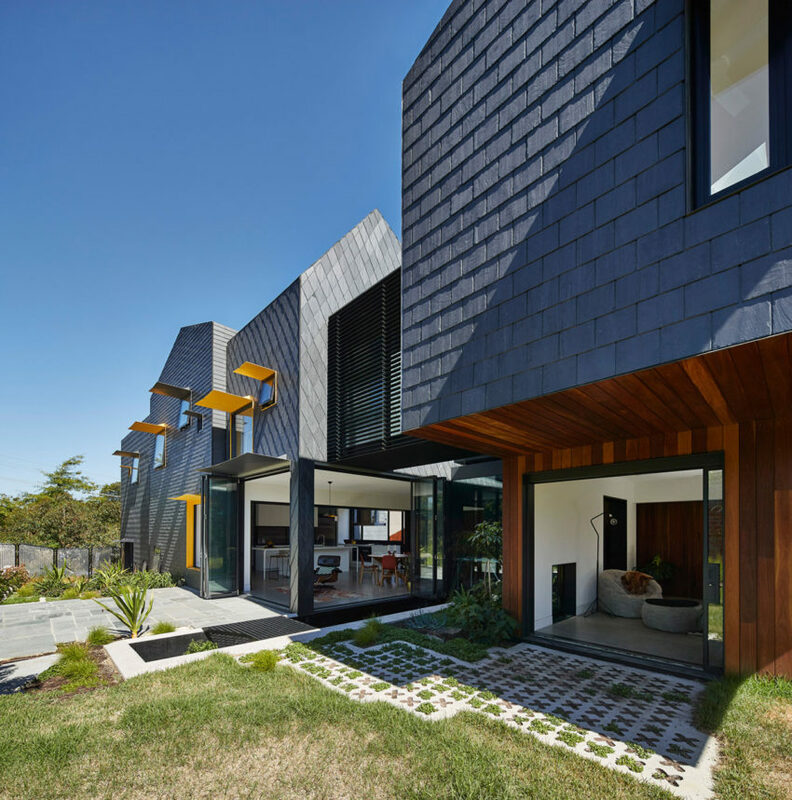 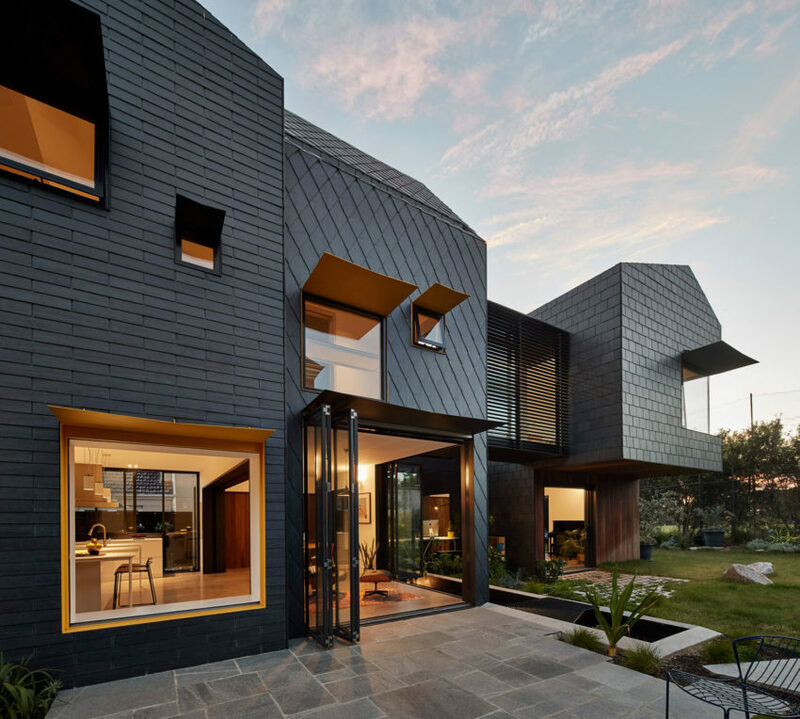 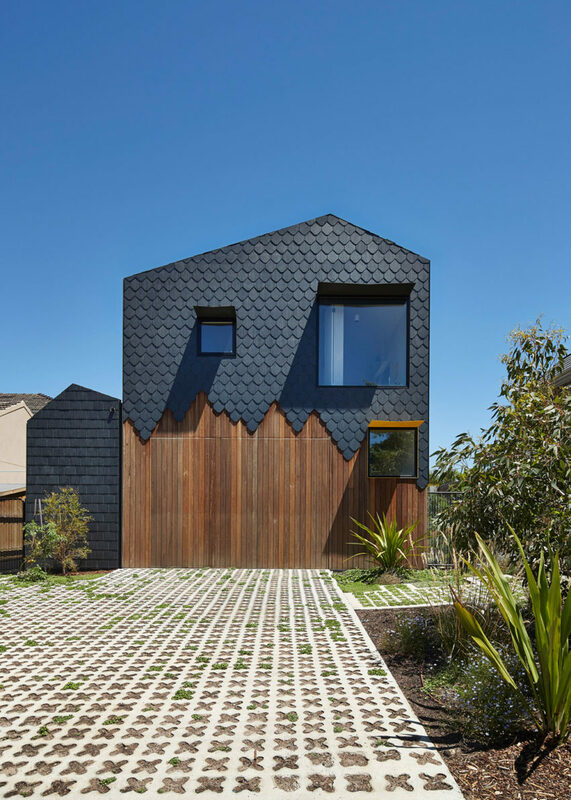 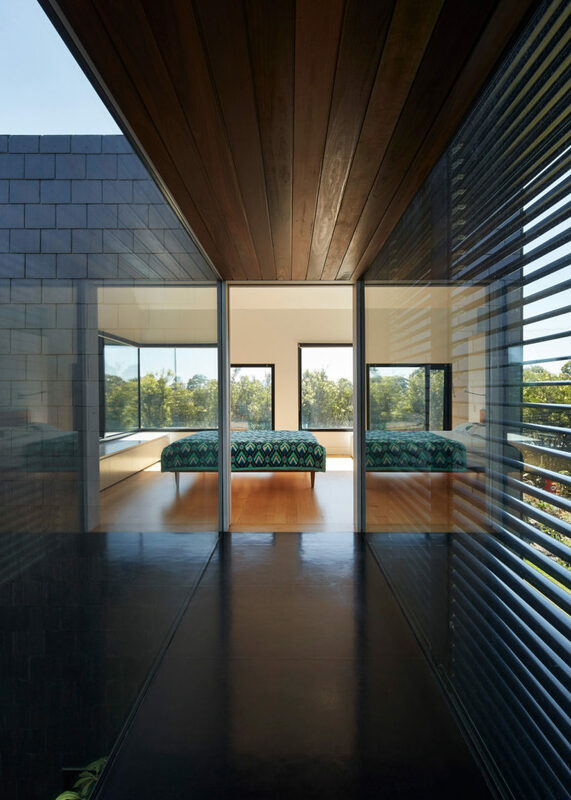 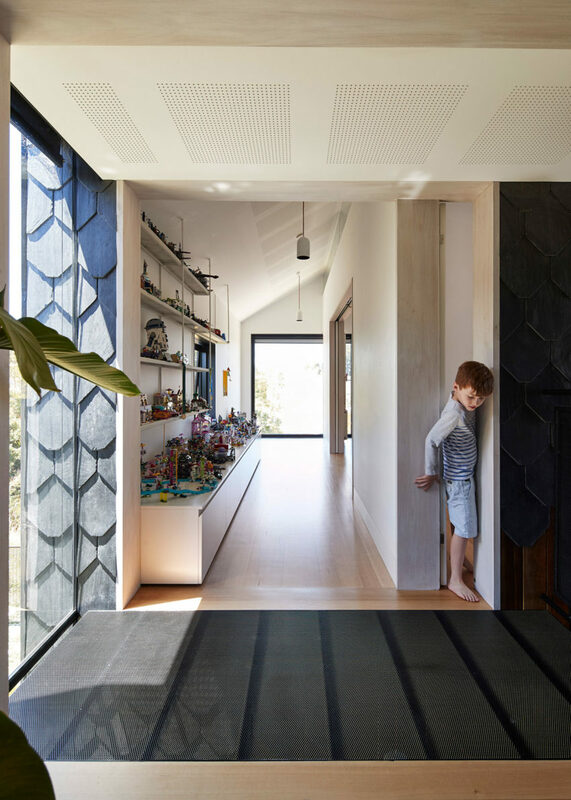 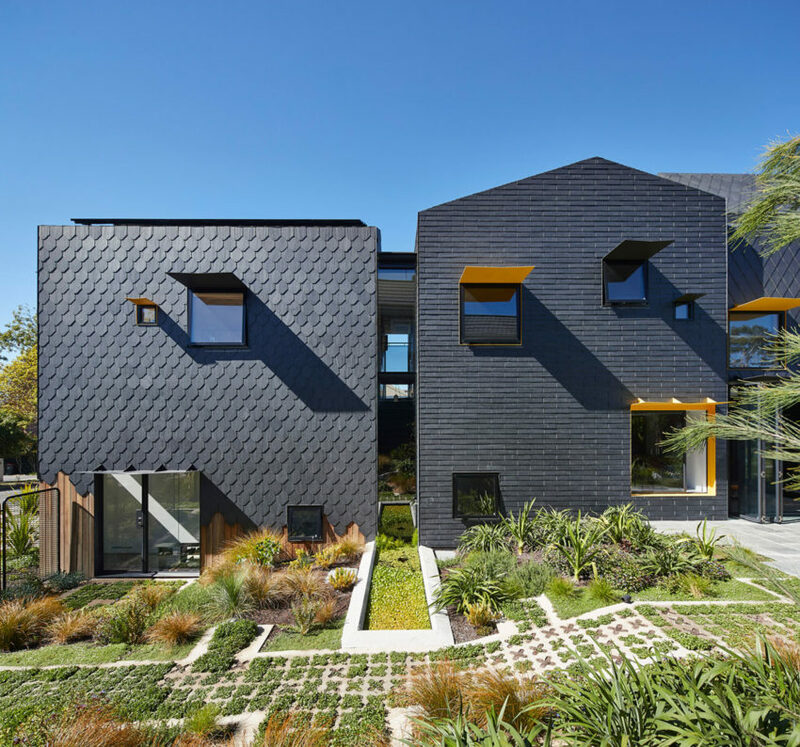 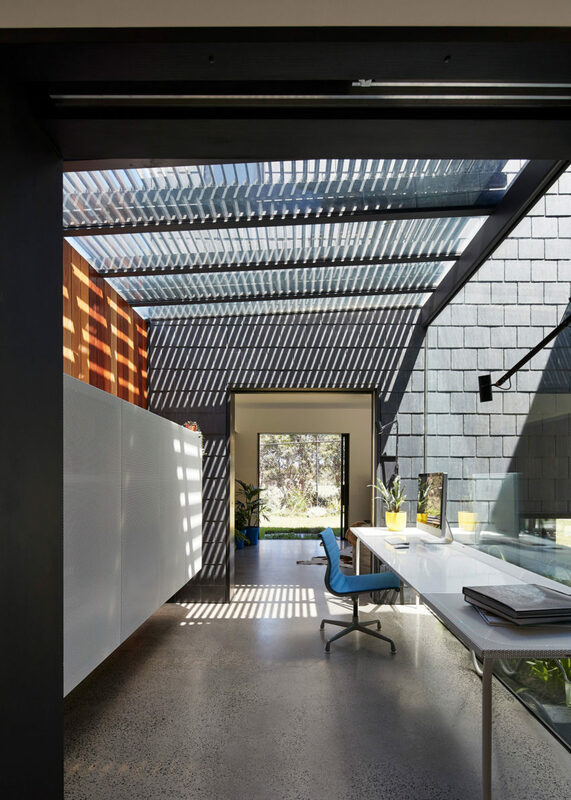 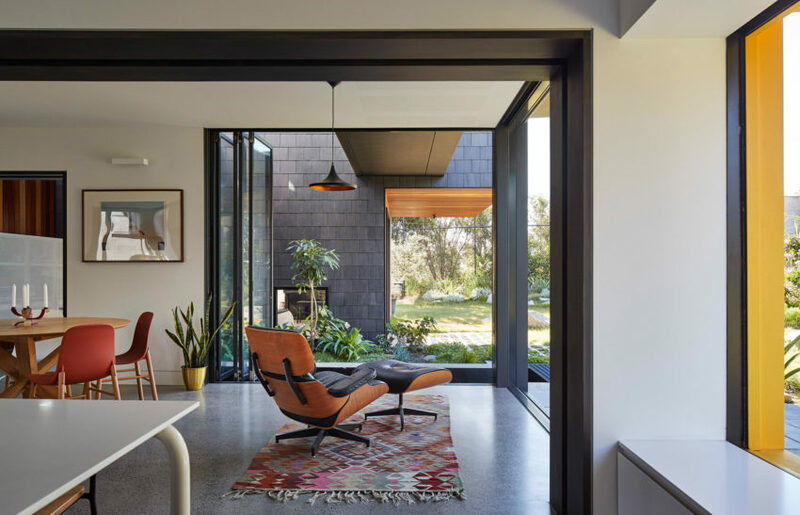 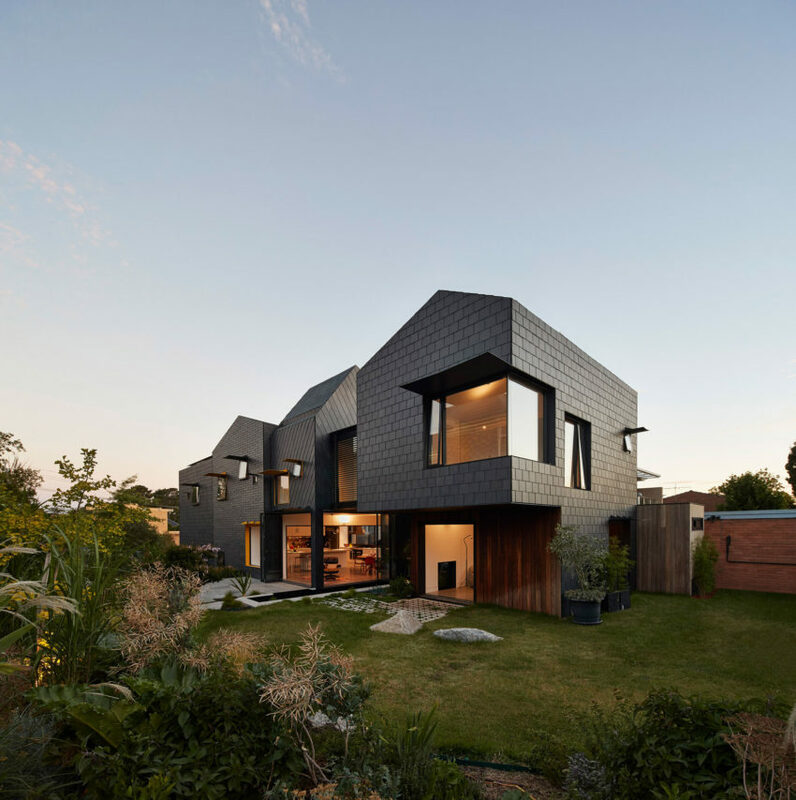 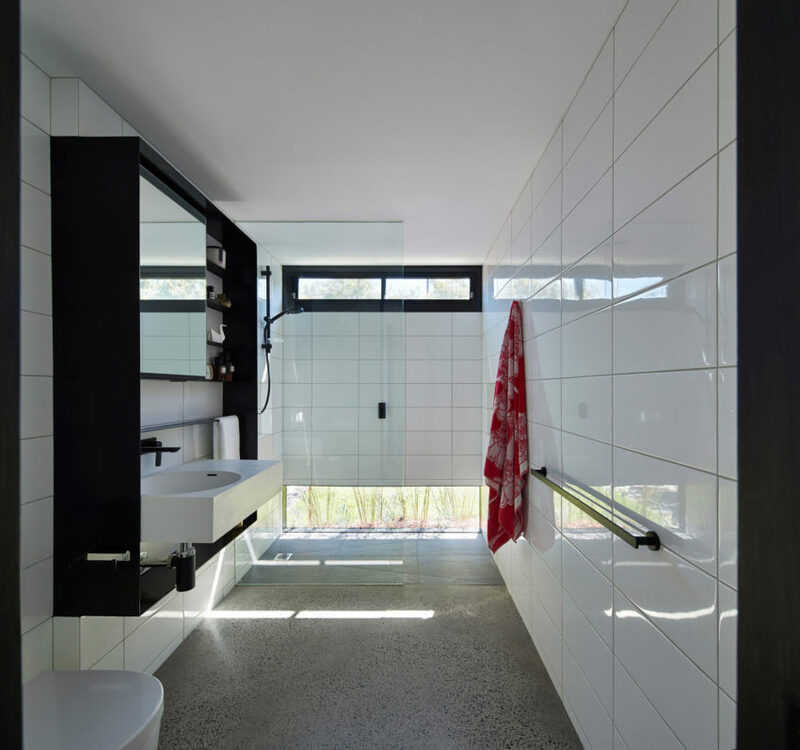 The architectural firm Austin Maynard Architects completed, in the year 2015, the expansion of this beautiful house located in the suburb of Kew, in Melbourne, Australia. 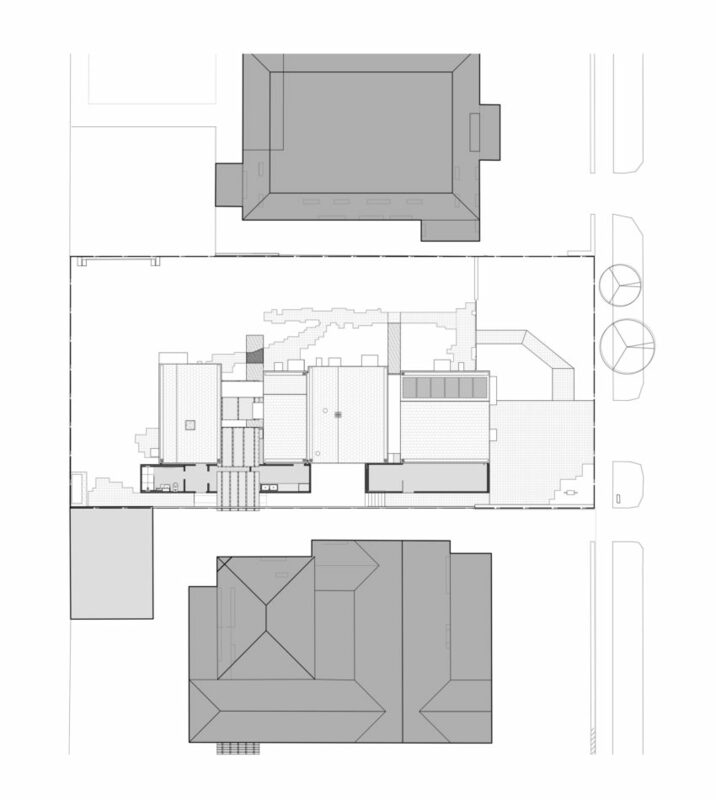 It has an extension of 720 square meters with a built area of 348 square meters. 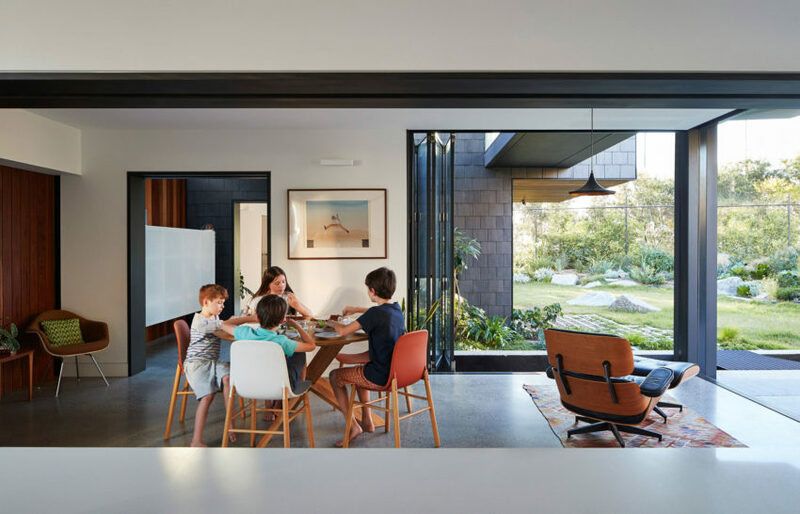 The owner of the house was looking for a space where he could live for the next 25 years, a home where his children could grow, adapted to the changes and needs of each one. 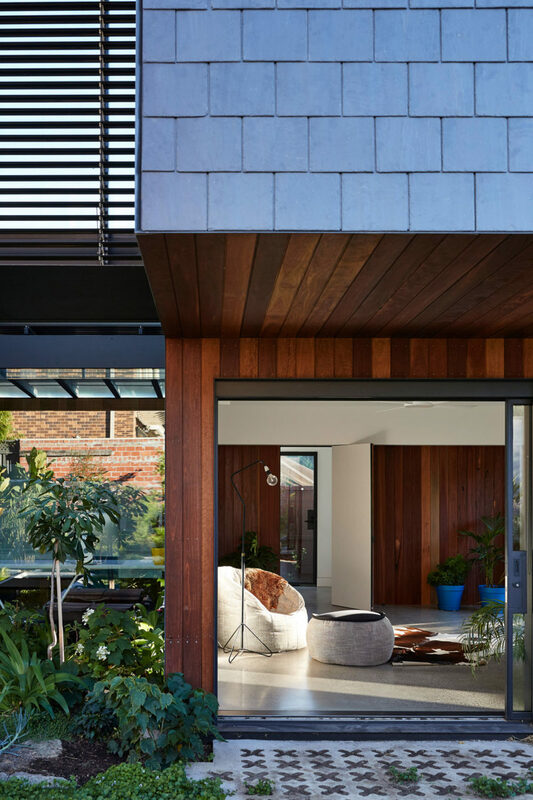 They wanted a house that was practical, comfortable and where both the house and the garden required a low level of maintenance.It possesses wonderful, perfectly manicured gardens. 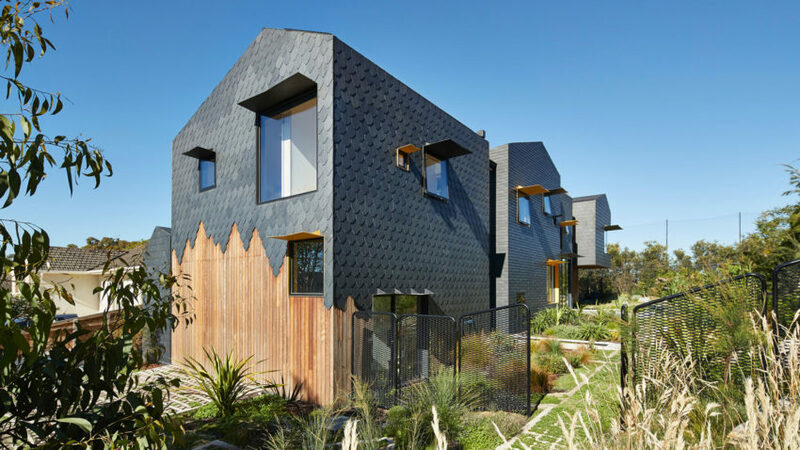 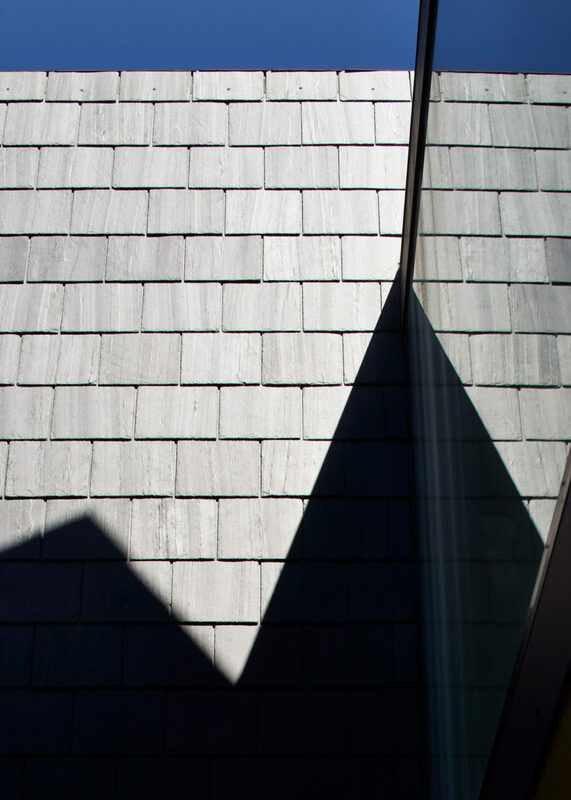 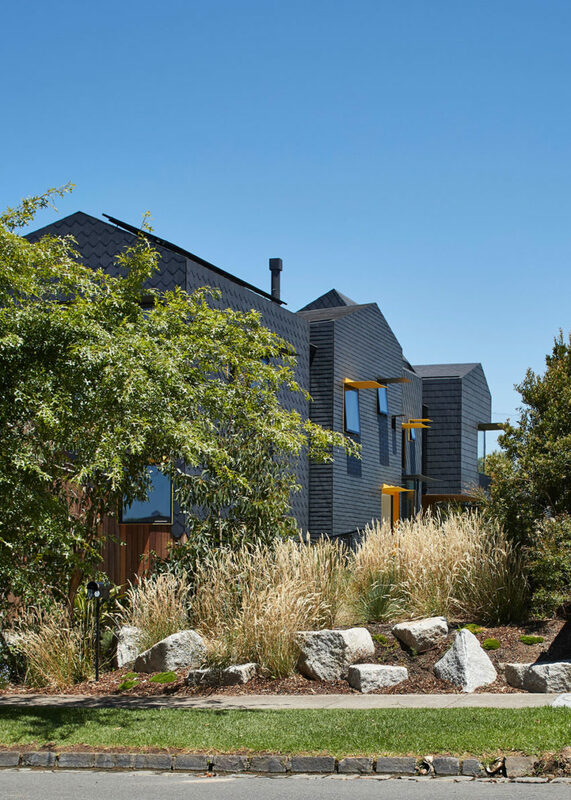 Each one of the blocks has its own slate pattern that gives it its own identity. 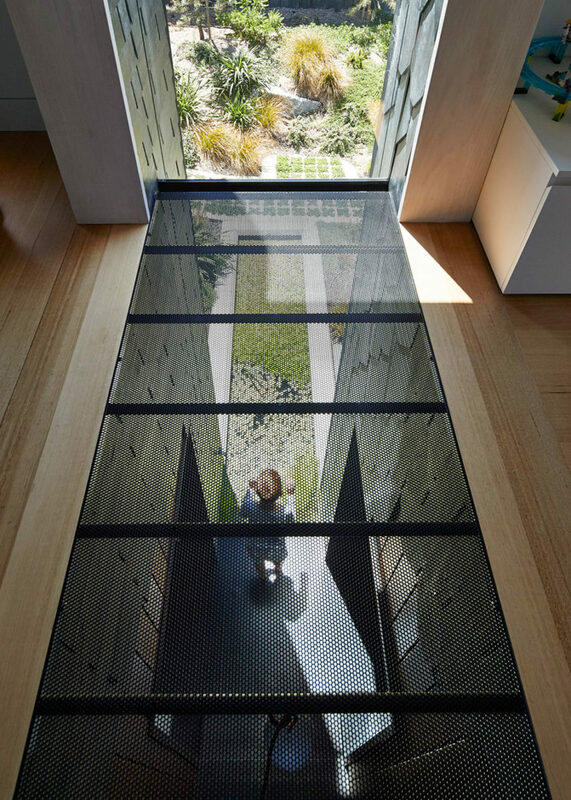 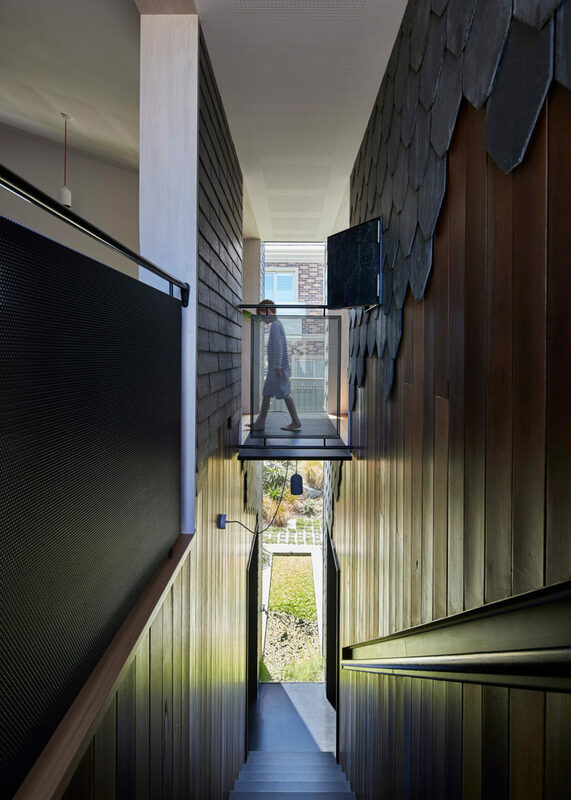 Inside are spaces full of light and designed to provide comfort to those who live there. 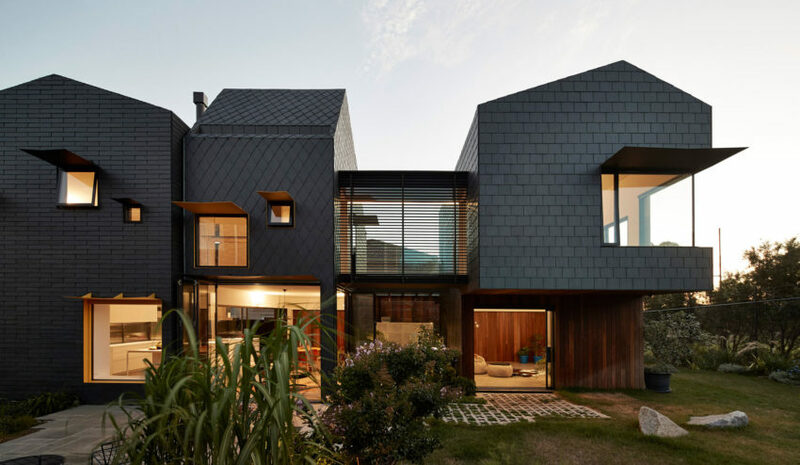 As we can see, the model used in the exterior is repeated, and wood and slate were used to line the walls. 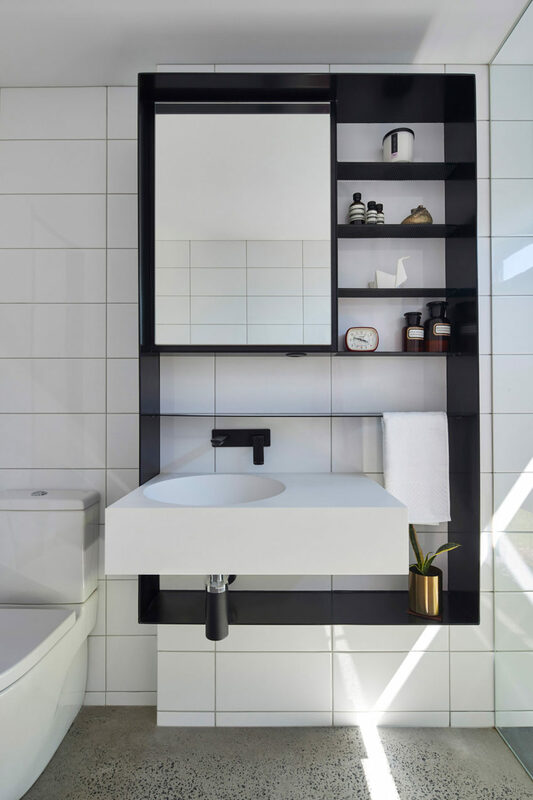 Certainly, a beautiful and original design that gives the home a unique touch. 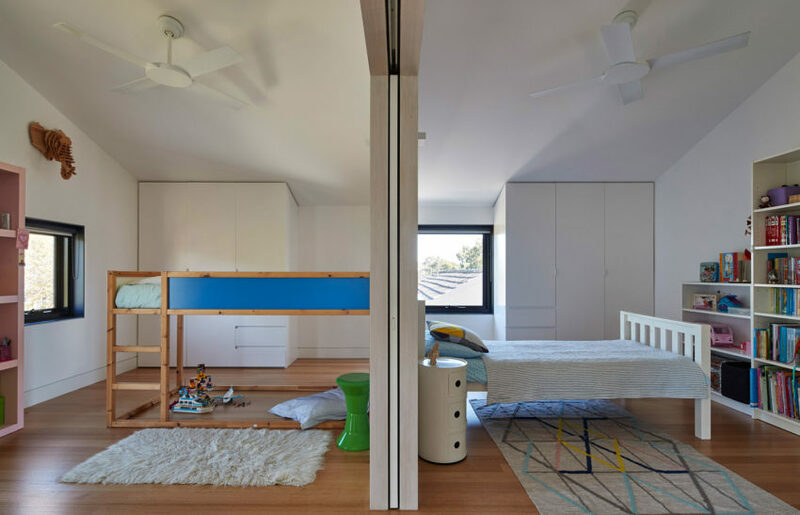 Thinking about the children, they created a play area in which they can spend time and enjoy. 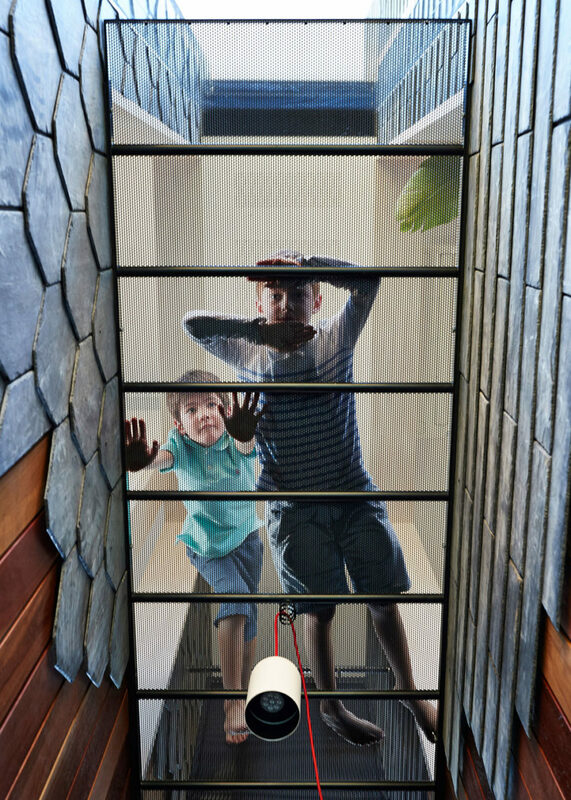 A space that will remain in their memories and will be part of their childhood when they have gone.